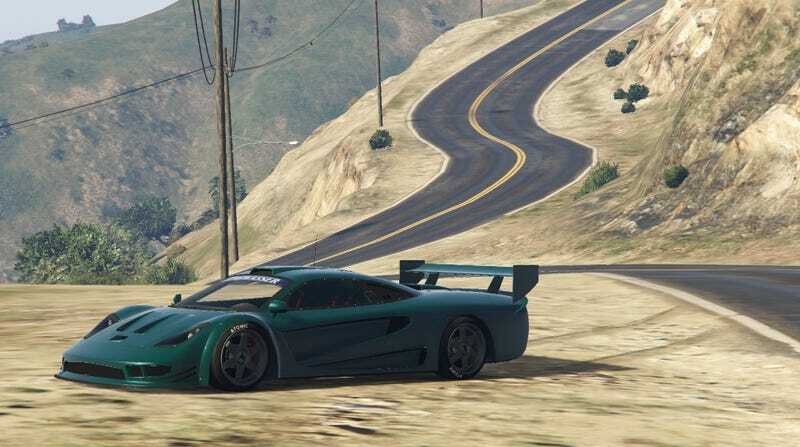 I like doing this every once in a while; there are so many cars and styles in GTA 5 that you never see the same thing twice. My garage is sorted by country, with Japanese cars on the first floor. The PCJ isn’t the fastest bike, but I have more miles (and sawn-off shotgun kills) on it than probably every other car combined. The Futo (AE86) was the second car I ever saved in my garage when I got the game 4 years ago. The other 2 cars, a VIP-style Intruder and a bone stock Rebel. Moving up is my European cars- The Comet is another old favorite, and I just got the Tyrus yesterday. Top floor is American, as you probably guessed. White Ruiner on Gold basketweaves because my car.